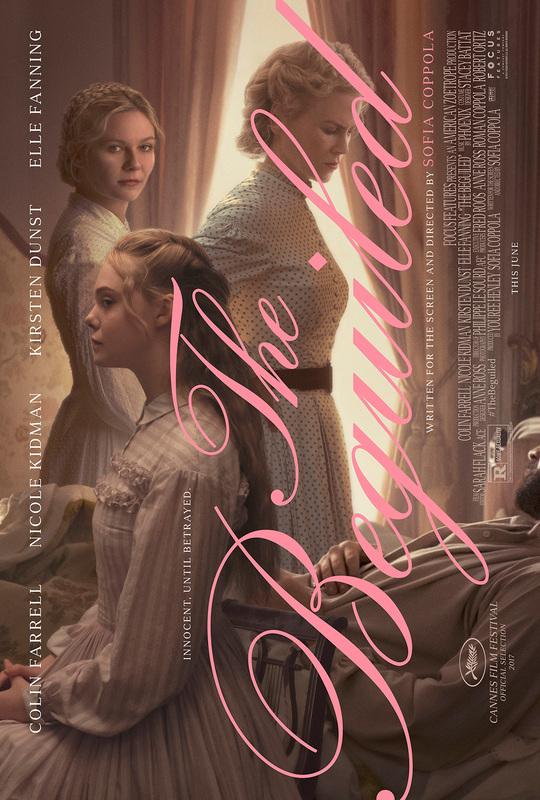 Directed by Sofia Coppola and based on the novel of the same name by Thomas P. Culliinan, this thriller stars Colin Farrell as a wounded soldier who incites jealousy and betrayal when he stumbles upon an isolated, all-girls school in Virginia. The cast features Nicole Kidman, Kirsten Dunst, and Elle Fanning. Coppola received a nomination for the Palme d’Or and won the award for Best Director at the 2017 Cannes Film Festival.